AES67 audio networking was a hot topic at IBC. To help readers better understand the technology, The Broadcast Bridge has released a 3-part series written by Andreas Hildebrand, Senior Product Manager and Evangelist for RAVENNA technology. If your work touches audio, read this series. Part 2 in the package is highlighted below. As audiences become more selective in their viewing habits, broadcasters and service providers must adapt. One way to meet the needs of this changing audience is through customized advertising. Fortunately, ad insertion technology is becoming more prevalent and smarter. Learn more about this solution in the article below. 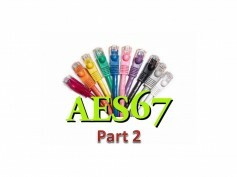 The AES67 standard is sometimes misunderstood as the specifications on how all professional digital audio gear is supposed to work and interconnect. Not exactly. In fact, AES67 simply defines the requirements for high-performance AoIP (Audio-over-IP) interoperability. A manufacturer can implement AES67 anyway it wants, and there’s the rub. An ABI Research report published in January predicted that live-linear OTT services alone would grow to about $7 billion in global revenue by 2021, up from about $1 billion in 2016. 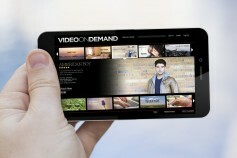 AT the same time, viewers are shifting their focus from traditional linear TV broadcast to online and OTT. Did you miss IBC or troubled that you might have missed something important? Never fear, because The Broadcast Bridge staffed the event with multiple editors covering the show from every angle. With that information we built The Broadcast Bridge IBC 2017 Event Channel, which is filled with hundreds of new product and technology announcements from IBC. The Channel is your Go-To place for more IBC 2017 information. Check out the Channel now because it runs only until October 20, 2017. Find out what you may have missed at IBC 2017.